We’ve all been waiting for a while for the new jailbreak for iOS 4 and it sure seems we are on the right track. I know many of you are very anxious for the tool to be released but I’m not. I really want my jailbreak back too but I want it stable and bug free, which is why it hasn’t been released yet. We’ve all been thinking the new jailbreak will just be an update to Spirit, and we all assumed the name of the tool would be Spirit 2 or something along these lines. Today a little bird tells me the new jailbreak for iOS 4 and iPhone 4 will not be called Spirit. Now don’t ask me what it’s going to be because I don’t know. iPhone hacker iH8Sn0w joked that the new jailbreak would include “pie” in its name but this is not true. Just for the fun of it, what do you think it should be called? Sn0wSt0rm? Blu3Thund3r? UltraDr1zzle? Yesterday I was telling you the Dev Team is working hard on an unlock for iPhone 4. Some of you may have wondered why the Dev Team would be working on an unlock when a jailbreak is not even ready yet, right? That’s because according to MuscleNerd, a jailbreak for all devices at iOS 4 is already taken care of by the upcoming release of Spirit by Comex. Now the question is: when will Spirit for iOS 4 be available? With Apple supposed to release an update to iOS 4 in the upcoming weeks to supposedly fix the antenna issue, I doubt Comex will release Spirit beforehand and give Apple a chance to patch the exploit. I bet you can’t wait for Spirit for iOS 4, can you? The now famous Spirit jailbreak developed by Comex was already available on Windows and Mac. Now, thanks to iPhone hacker p0sixninja, Spirit is now available for Linux as well. I’m sure this will be helpful to the Windows haters and Linux aficionados. Although Spirit is probably the easiest and fastest jailbreak ever, it does come with its share of problems. After jailbreaking their iDevice with Spirit, many people reported the loss of their pictures. This issue was fixed by Comex when he released an update to Spirit, but what happens to those of you who lost their pictures before the update? I spotted an article that explains how to recover those missing pictures after jailbreaking your iPhone or iPad with Spirit. The process is pretty simple and it shouldn’t take more than a couple of minutes. For this to work, you will have had to backup your iPhone or iPad before jailbreaking. If you did not backup your device before jailbreaking with Spirit, then this will not work for you. Step 1: If you haven’t already, install OpenSSH from Cydia. Step2: Download iPhone Backup Extractor (for Windows 32 bit or 64 bit – for Mac OS X). Step 3: Launch iPhone Backup Extractor. It will automatically find backups available on your machine. Select the right one. Step 4: Navigate to Media/Media/DCIM and select this folder. Click next to save it on your computer. Step 5: Using CyberDuck for Mac of WinSCP for Windows, SSH into your device. To find your IP address, on your device, go to Settings > Wifi > Tap on the blue arrow of the network you’re on. Step 6: Navigate to User/Media and replace the existing DCIM folder by the one you downloaded to your computer in step 4. Step 7: Reboot your device. Done! All your lost pictures after using Spirit should be recovered. The Spirit jailbreak tool is probably the easiest jailbreak ever, however, like every piece of software, it is not perfect. Even though Spirit was updated yesterday, a few users still face issues. In this case, Spirit believes you are not running the correct version of iTunes, even though you are. The very few of you who were having problems with Spirit on Windows can rejoice. Spirit, which would sometimes give you an error code c0000005 depending on what version of Windows you were using, has been updated to fix this error. I personally didn’t have any problem with the Spirit jailbreak on Windows. One problem I had though is that it deleted the camera roll on my iPad. Well, Comex also fixed this bug so it shouldn’t delete pictures anymore. You can download Spirit for Windows or Mac from here. It’s the most simple jailbreak ever but if you need directions on how to use it, see my Spirit tutorial. 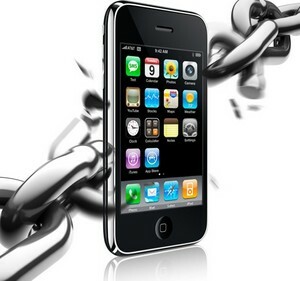 Before thinking about jailbreaking your iDevice with Spirit, there are a few requirements that you need to know about. Please head over to this post I wrote earlier to read the “fine prints” and make sure you know exactly what you’re doing. I wrote this guide by jailbreaking my iPad using Spirit but the steps are exactly identical for the iPod Touch and iPhone. Steps are also identical whether you’re on a Mac or PC. Note that Spirit is a jailbreak for every device. It will NOT unlock your iPhone. Step 1: Download Spirit from our download page. Step 2: Make sure you have at least version 9 of iTunes. Step 3: Back up your iPhone, iTouch or iPad in iTunes, just in case something goes wrong. Step 7: Your iPhone will reboot and you should have the Cydia icon on your springboard. Congrats, you just jailbroke your iPhone / iPod Touch / iPad using Spirit. Windows Vista or Windows 7 users may get the error c0000005. Spirit, the userland jailbreak for iPhone, iPod Touch and iPad is finally available. We’ve been waiting for Spirit for quite a while now. It was supposed to be released last Friday but Comex, its developer, decided to wait a few more days to make sure new iPad 3G owners would have time save their SHSH blobs, but also to finish up Spirit and make sure it was 100% reliable. For the occasion, Comex developed a new website for Spirit at SpiritJB dot com where you can download the Windows and Mac version. Note that at the time I am writing this, my antivirus keeps flagging Spirit as a trojan. Besides, the site is very slow due to an overwhelming amount of traffic. UPDATE: I turned off my antivirus and downloaded Spirit. It is 100% safe. Comex did a great job on that one. Congrats! UPDATE 2: I wrote a Spirit jailbreak tutorial for iPhone, iPad and iPod Touch. With the upcoming release of the Spirit jailbreak, there are a few things you need to do in order to be on the safe side should something go wrong in the future. One of these things is to prepare your iPhone, iPod Touch, or iPad by saving the SHSH blobs. In this tutorial, I will show you how to save your SHSH blobs on a Windows machine, using AutoSHSH. This guide was written for an iPad, but the steps are identical for the iPhone and iPod Touch. Step 1: Open iTunes and plug your iDevice. Back it up. When done, close iTunes and unplug your device. Step 3: Put your iDevice in recovery mode. To do so, turn it off, hold the home button while plugging your device to the USB cable. Keep holding the home button until you see a “connect to iTunes” logo. If iTunes launches, close it. Step 4: Launch AutoSHSH. Make sure you are connected to the Internet and that you have Java Runtime installed. If not, download and install it. Also make sure your device is in recovery mode and connected to your computer. Step 5: Click “grab my SHSH blobs automatically”. AutoSHSH will start to work its magic. Step 6: AutoSHSH will finally ask you where you want to save the file on your computer. Select a convenient location (ie. desktop). Done! Your SHSH blobs are now saved locally and on Saurik’s server. In the event that something goes wrong, you are covered! In a tweet sent yesterday, MuscleNerd teased us with a couple pictures and a video showing an iPad 3G jailbroken with the long-awaited Spirit jailbreak. Spirit, which was said to be released this past Friday has been delayed. There is no official release date yet but it shouldn’t take more than a few days. While waiting for Spirit, you can prepare your iPhone, iPod Touch, or iPad by saving your SHSH blobs.